The Cape of Good Hope might not be the beach one dreams about when imagining the idyllic with frozen drinks and palm trees. For that, it might be more of a pacific island paradise, such as the Gili islands. Nonetheless, it’s clear blue water and landscape to provide a spectacular scene. 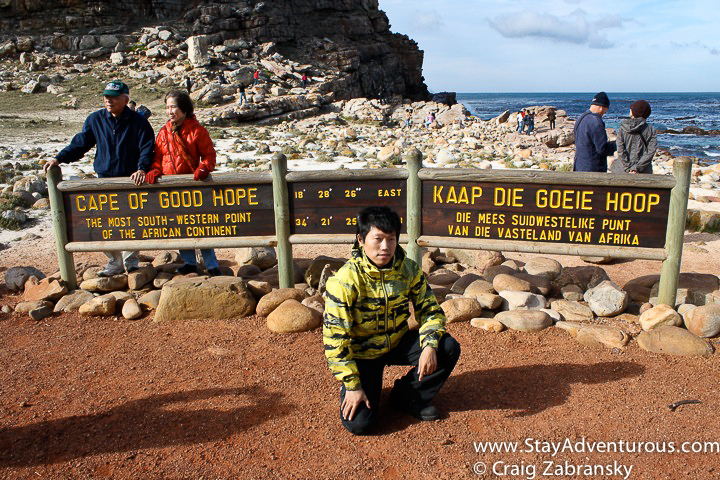 Plus most all travelers heading to South Africa, and especially Cape Town seem to find it. They also seem to take the opportunity to for the “famous” photo opportunity. Commercial and rather touristy with a multitude of tour buses in the parking lot, the Cape can seem to represent a place on the list of the checklist traveler. But I’l admit as I exited the tour bus, I held an excitement about standing there and looking out to sea. The Cape represented a place of exploring legend. In history classes we learned of the European explorers who sailed around Africa to obtain the coveted spices from India and adventure. And how this long, dangerous route eventually led Columbus to sail west. The quest for a better way led a man to take a giant leap into the unknown and try something new. The event changed the face of history. Also, when listening to the tour guide, I learned it’s officially not the southern most tip of Africa. Nope, actually it claims to be the southern most western point. Factual, yes, but it is the Cape when you start to turn. It’s when and where explorers started to navigate more east than south and began their adventure around the other side of Africa and the Indian Ocean. This is post 6 of 13 in the Winter Series – Beach Thursday, a Special Series on Stay Adventurous. Stay Adventurous Tip. It’s never about avoiding any checklist destination; it’s about what do they mean to you. Visit the ones you want to see, and focus on why you want to see them. 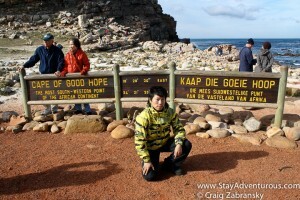 I remember standing in front of that sign, Cape of Good Hope. It was quite an exciting feeling. 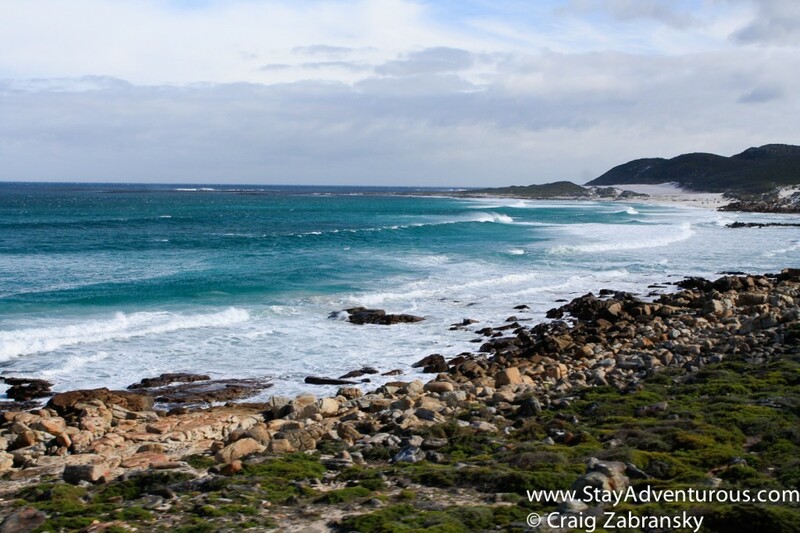 Although not the southern most point of South Africa, It is a very memorable spot a very beautiful beach.